When we lived here before, Eslite bookstore (Store website in Chinese here or information in English here) was a place where we could find hundreds, if not thousands of English books, which was unlike any other bookstore that we found in the city. 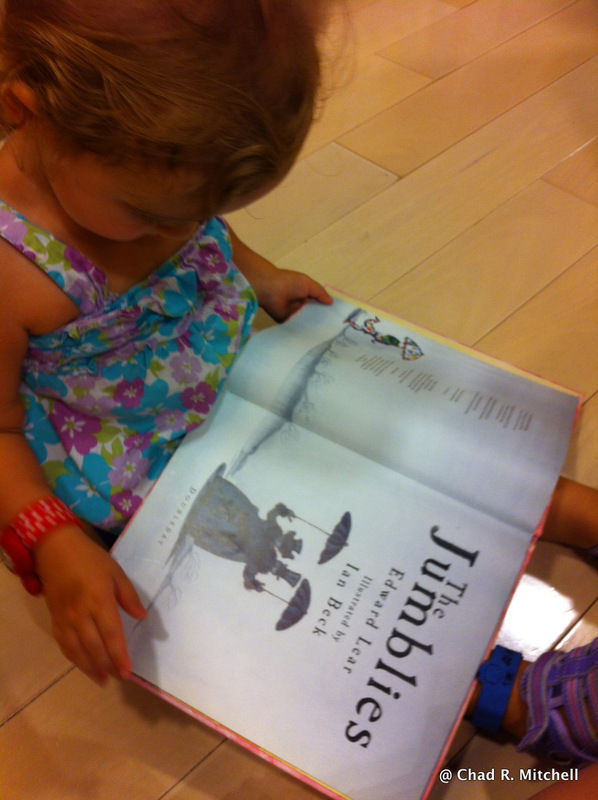 I was excited to take Zoë to the childrens section to check it out, so she and I ventured there last week. 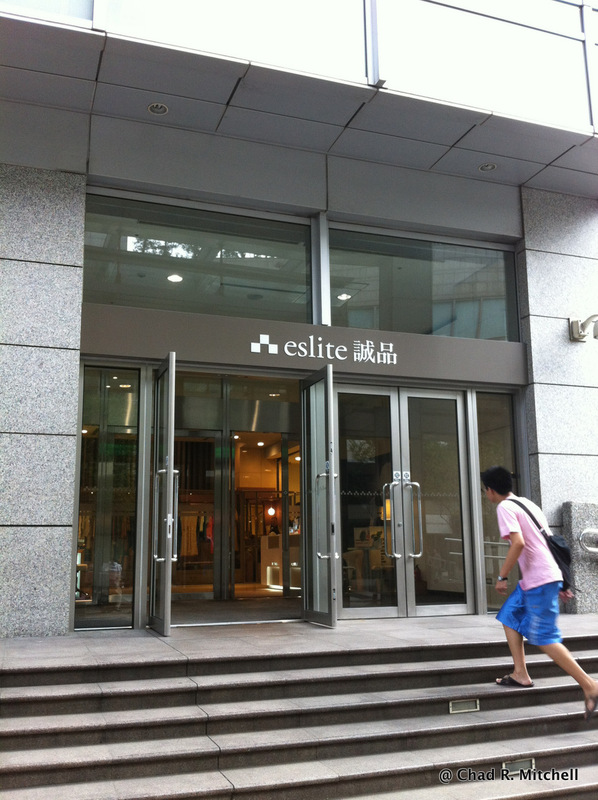 Eslite has over 40 stores now in Taiwan and was the first 24 hour bookstore in Taiwan at their Dunhua Road, Taipei location. Z and I took the metro to the Taipei City Hall stop (on the blue line) and walked a few minutes to the entrance of the Eslite building. This branch, the Xinyi branch, is now their flagship building and boasts of 8000 m2 of shopping, food counters, and of course their bookstore. We entered the building and walked through the high-end clothing sellers and went up the escalators to the 4th floor, which is where the children’s area is. The wonderful thing about the Eslite building is that each floor has the same kind of vendors, so finding something like a specialty soap is easy because you can choose from numerous shops selling that product on the same floor. The floor with the childrens books also houses all the vendors for child appropriate crafts, toys, and baby supplies. Once you get off on this floor with your child, be prepared to run after them. There was so many products that Z wanted to take home and crafts that she, ok, I wanted to do. After running around the shops for a while, Z and I made our way into the book area. The layout is organized and decorated well. I unfortunately do not have pictures of this part as photos are not allowed (per a large sign as you enter the area). There is a small section of English books, as well as toys, crafts, and art supplies. Many parents and grandparents were just sitting and reading to their children or grandchildren. Zoë and I also sat and read a couple of books and then we looked around at the crafts and art supplies. The products that they offered are often American or from another western country and are well made and the price shows it. I did find a clearance area though that had many learning tools, books, and puzzles for reasonable prices. 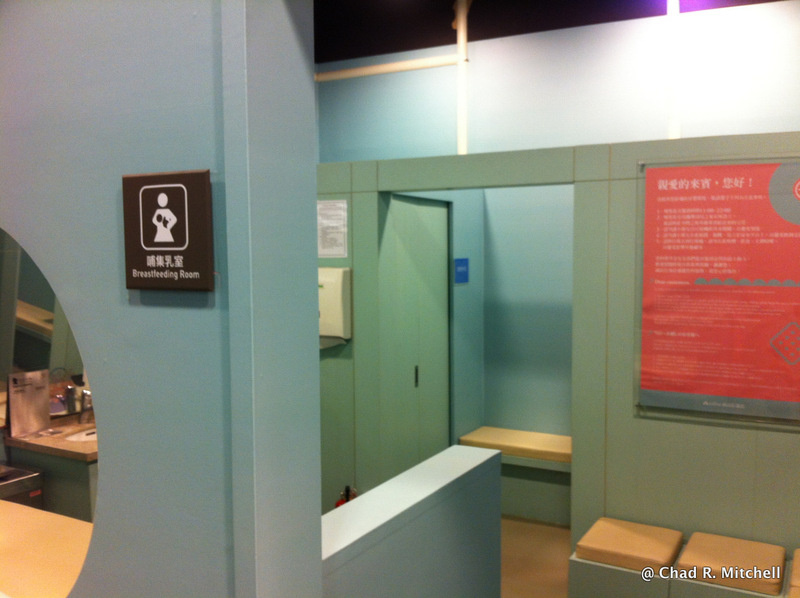 An amenity that makes this floor of the building amazing for parents, is that they have a breastfeeding and baby changing area. It is clean and has a water cooler for formula, a hand washing station with specialty soaps and lotions, high chairs, private breastfeeding rooms and a diaper changing area. This is worth its weight in gold. As we have traveled a nice diaper changing area has been hard to find, so I practically cried with joy that I didn’t have to change Z’s poopy diaper while she stood in a dirty toilet stall. Zoë and I had a wonderful time together at Eslite Bookstore and I hope to take her back again soon to make some of the painted pottery, or read some more books to her. It is a great way to spend time with your little one, especially if you want to keep them out of the heat. It was another wonderful mommy-daughter day thanks to Eslite!